RONPhos Handover Day is a Nauruan public holiday celebrated on July 1. It is dedicated to the country’s leading enterprise, the Republic of Nauru Phosphate Corporation (RONPhos). 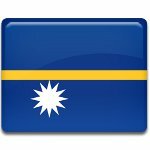 The Republic of Nauru is the world’s smallest independent republic, the smallest island country, and the smallest state outside Europe. It is located on a small phosphate rock in the Central Pacific. During the late 1960s and early 1970s, rich phosphate deposits near the surface made Nauru the state with the highest per capita income in the world. Phosphate was discovered on Nauru in the early 20th century. In 1906, the Pacific Phosphate Company began to exploit the deposits and ship phosphate to Australia. After World War II, Nauru was administered by Australia that continued to mine and export phosphate. When Nauru became an independent state in 1968, the people of Nauru purchased the full rights to the phosphate business from Australia and founded the locally owned Nauru Phosphate Corporation. The country experienced an incredible economic growth, becoming one of the world’s wealthiest states. Unfortunately, the period of prosperity didn’t last long. Poor investments, corruption and eventual depletion of phosphate deposits left Nauru with little money. Following the collapse of phosphate mining in the early 2002, the Nauru Phosphate Corporation was restructured and renamed the Republic of Nauru Phosphate Corporation (RONPhos). The new corporation officially began operation on July 1, 2005. Its main goal is to develop plans for the extraction of the supposedly existing secondary level of phosphate. Nauru’s RONPhos Handover Day was established in 2017 to celebrate the country’s phosphate industry.